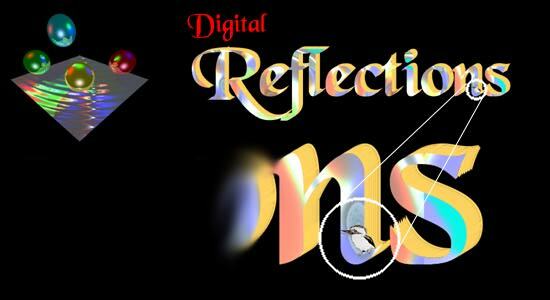 Welcome to Digital Reflections Special Page for Children on the World Wide Web. Digital Reflections is an Australian Company and very proud of it. We wanted to have a special character on our pages that represented Australia. So meet KOOKY. If you have Audio click here to listen to Kooky laughing with his family. 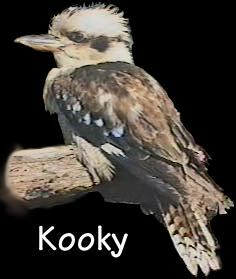 Kooky is an Australian Kookaburra who like all his brothers and sisters has very sharp eyesight. He can see a worm wiggle or a lizard or snake in the grass from way up in his tree and down he swoops to catch his dinner. Do you have "sharp eyes"? Well keep them open because on every black Digital Reflections Gold Coast page Kooky will be hidden somewhere.